Miway Insurance go out of their way to do insurance your way! You may not have heard of Miway Insurance yet, but you will. Many people say they have only just begun to hear about Miway. Don’t let that put you off investing in them, however. They are known more for their motor and short term insurance than life cover. This is because many of their products are still under development. Although Miway is fairly new to the market, Santam is a major shareholder. This makes them a force to reckon with in the insurance industry. 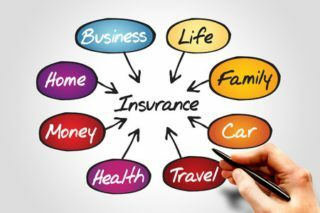 Being more of a short term insurance company, many of their products fall into short term categories. What does Miway offer in Car Insurance? Comprehensive provides insurance for damage due to fire, accident, hijacking or natural disasters. The cover includes windscreen damage and liability to other people in the event of an accident. Third party is the budget insurance and only covers damage to a third party’s car or injuries. You are liable for damages to your car. Third Party Fire and Theft is similar to comprehensive cover except your car is not covered for accidental damage. You can get Business, Personal or Professional use cover for your vehicle. You can insure your vehicle at Trade, Market, Retail or Specially agreed value. Get a FREE Life Insurance quote by filling in the form on this page. What does Miway offer in Home Insurance? Things break, geysers burst and natural disasters happen. Home insurance covers both natural and unnatural disasters that leap out at you. Building Insurance – For permanent structures such as house walls, roof, garden walls, plumbing, etc. It covers both a natural disaster like flooding as well as the not so natural burst pipes. Contents Insurance – It’s not easy to replace all the goods in your home in the event of fire, theft or disaster. Some items you can’t replace, so it’s best to cover the contents of your home. In this way, you have peace of mind that in the event of losing everything, you will have the money to replace your items. Motorcycle Insurance – Covers not only your motorbike, trailer or riding gear but your bike accessories as well. Bicycle Insurance – Not only is your cycle covered while training but also during and on your way to cycling events as well. Go online and get free Life Insurance quotes. Miway has modern, value-for-money products that are bound to attract you, with affordable premiums too. Guaranteed rewards even when you do make a claim. Claims, queries, personal detail updates and insurance quotes are available via the website 24/7. Free roadside help with car and bike cover. ← The dawning of a new era is always exciting.